Please note that we now have a pointer at http://www.rememberingtherutland.com. This makes it easier to find Remembering the Rutland when you are away from your Favorites folder. Welcome to Remembering the Rutland, a web site dedicated to preserving the memory of the late, lamented Rutland Railroad. Please take a few moments to browse around and introduce yourself to this fascinating railroad. You will find equipment rosters, maps, capsule histories, photographs and more. You will learn of ongoing efforts to preserve Rutland facilities and equipment. 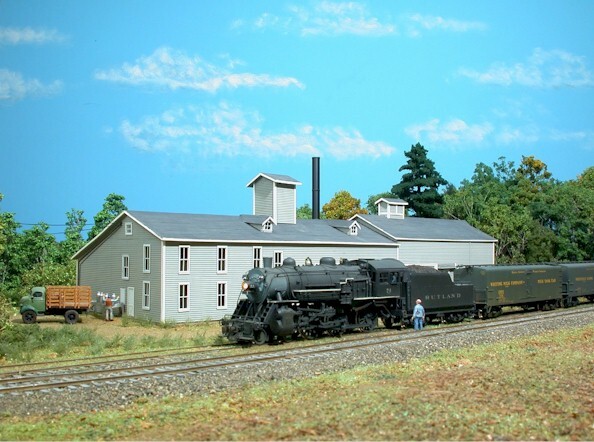 Then you will see how model railroaders keep the memory of the Rutland alive with their modeling efforts. And finally, although Remembering the Rutland is not officially associated with it, I would encourage you to become a member of the Rutland Railroad Historical Society. Rutland Railroad Equipment Trust NEW SECTION! Your purchase of Rutland-related items helps to save and restore the history of the Rutland. It's win-win! Rutland History The Rutland story in rosters, maps, timetables, and more. Save the Rutland Preservation news of ex-Rutland equipment and facilities. Rutland Modelers' News & Scuttlebutt The latest poop and opinions for those who model the Rutland. Rutland Q&A Questions and answers from Rutland modelers and historians. Modeling the Rutland Visit with Rutland modelers and learn some of their secrets. Remembering the Milk Trains Not just the Rutland! A truely fascinating aspect of the hobby. The Green Book of Scale Brass Milk Cars An RtR Exclusive! Comprehensive tables listing scale milk car models imported in O, S, HO and N scale. 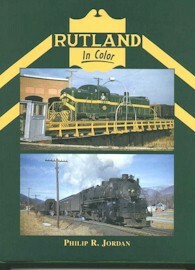 Rutland Railroad Historical Society Want to join others who share an interest in the Rutland? How to order back issues of the Rutland Newsliner, the excellent, quarterly publication of the RRHS. Rutland Photo Gallery A gallery of photographs depicting the Rutland Railroad. Like-minded Sites Links to sites we think you will like. Editorials & Commentaries Previous editorials and commentaries from our welcome page. Recommended Rutland Resources Books, magazines, and videos with a Rutland theme. Pictured above is yet another diorama built by Lou Sassi for his upcoming Kalmbach book. In this scene, Rutland Ten Wheeler No. 74 is getting ready to switch the Grand Isle Creamery. The locomotive and the Pfaudler milk cars are brass models imported by Overland Models in the 1980's. They were painted by Lou. Lou based his drawings for the creamery on photographs of the model of the same building on the layout at RPI. He had Rich Cobb scratch build it. Martin Collard scratch built the stake body truck. I'd like to take this opportunity to wish Lou a speedy recovery from his recent surgery. Judging by the evidence above, Lou is coming around just fine! You can view previous Featured Images of Lou's modules by clicking this link. More on the sale of Railworks to Crown Custom. G-34's and F-11's still on track! This new section features a list of books, pins, model railroad kits and supplies. All proceeds from RRET sales go to the preservation of Rutland equipment and facilities. Included in this list is the Morning Sun book Rutland in Color by RRHS member Phil Jordan (left). What better way to help preserve the memory of the Rutland? Please let me introduce you to Steve's Depot, a hobby shop located in the town center of Burlington, Massachusetts. Steve's Depot is a friendly, knowledgable source for DCC components and factory-trained installation. Rutland 10000-series Hopper in HO scale (01/01/03) -- Updated with new image of the finished model! -- Bill Badger reworks a Bowser PRR GLa with spectacular results. Modeling the Milk Trains? A complete listing of brass milk cars in HO, N, S and O scales can be found in the Green Book of Brass Milk Cars. The Railworks B&M wood cars are the latest additions. 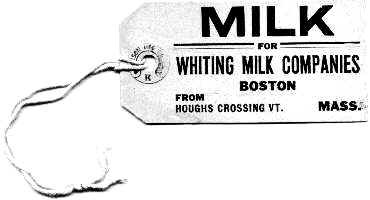 Right: Milk can tag for milk waybilled to Whiting's Milk Company in Boston from Houghs Crossing, Vermont, which was on the Addison Branch. Highball Graphics expands their line of milk car decals. (08/04/02) -- It may be time to resurrect a few of those milk car projects in your closet. The decals you've been waiting for are now available. Join the new Milk Train List on Yahoo! 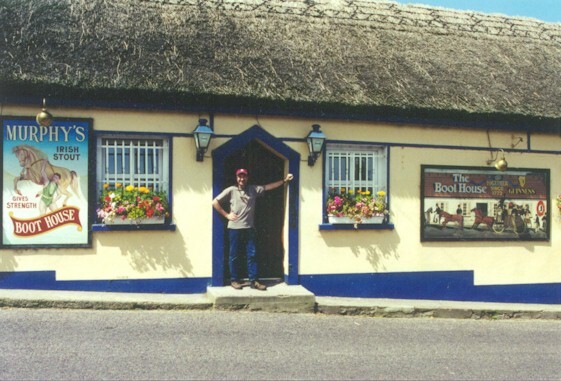 the Boot House pub, Upper Glanmire, County Cork, Ireland. Watch your step when you exit!